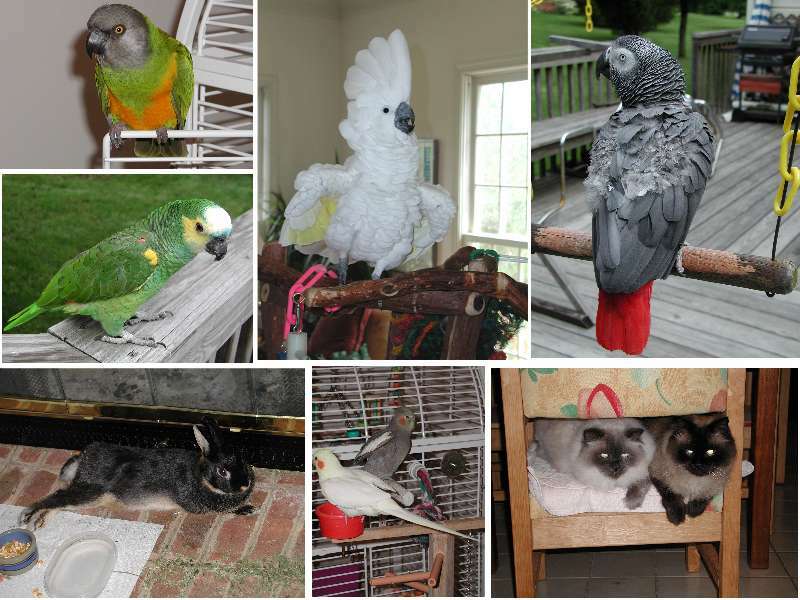 At this time we have nine nice pets: six parrots, two cats and a rabbit. You can see them by going to the links on the left or by clicking on the small picture below. Parrots are very intelligent birds and differ from other birds in that they have the ability to hold objects and food in one of their "feet" and bring it to their mouth while standing on the other foot. Look at the Macaw named Cricket. She belongs to our friend Vanessa. Cricket is eating using a spoon! Having two toes pointing forward and two pointing back on each foot, parrots have the ability to hold and work with things while looking at the objects they manipulate. Also, their beaks are special, the lower one can move side to side as well as up and down. The upper beak is hooked, perfect for making holes and holding to objects. Our largest parrot, Tata, the Umbrella Cockatoo can play with toys intended for three to four year old children. He can take these toys apart, put them together, and when he is tired of them, he throws them away, just like any three year old child. 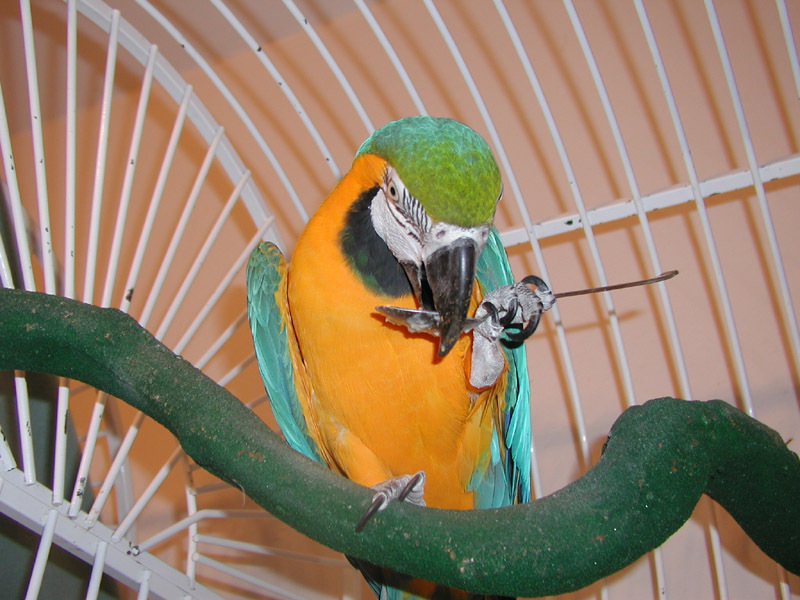 The larger parrots talk well, and they imitate sounds of equipment around the house. Sometimes Ernie would "ring" the phone, and Koko answers "hello!" They are great companions and make us laugh a lot. However, owning parrots is not easy. For one thing they live a very long life (20 to over 100 years.) So, this is a long term commitment. Also, they take a long time to clean and take care of on a daily basis.